Continuing Noctua's tradition of supplying customers with its premium-class SecuFirm2™ mountings free of charge, the NM-i115x kit allows Noctua users to upgradetheir coolers to Intel's LGA115x sockets (LGA1150, LGA1151, LGA1155, LGA1156). The NM-i115x set is backwards compatible with most Noctua coolers since 2005* and has beendesigned to combine outstanding reliability, optimal contact pressure and easy, straightforward installation. Bringing the trusted SecuFirm2™ quality to Intel'sLGA115x platform, the NM-i115x is an enthusiast-grade mounting kit that meets the highest demands in safety, performance and ease-of-use. Owners of Noctua CPU coolers* can obtain the NM-i115x Mounting-Kit free of charge via this form. A proof of purchase (photo, scan or screenshot of the invoice) of both aNoctua CPU cooler and either a socket LGA115x mainboard or socket LGA115x CPU are required. The NM-i115x SecuFirm2™ Mounting-Kit is also available for purchase at some of our resellers. If you need the kit urgently, please consider ordering itvia a local reseller. *See this FAQ for detailed compatibility information. The kit can not beprovided free of charge for the NH-D14 SE2011 (special edition for LGA2011 only) as well as for DX series Intel Xeon coolers. If you would like to use the kitwith these coolers, please purchase it a local reseller. Also note that this kit is not compatible with the NH-L9 series low profile coolers and DO series AMDOpteron coolers. 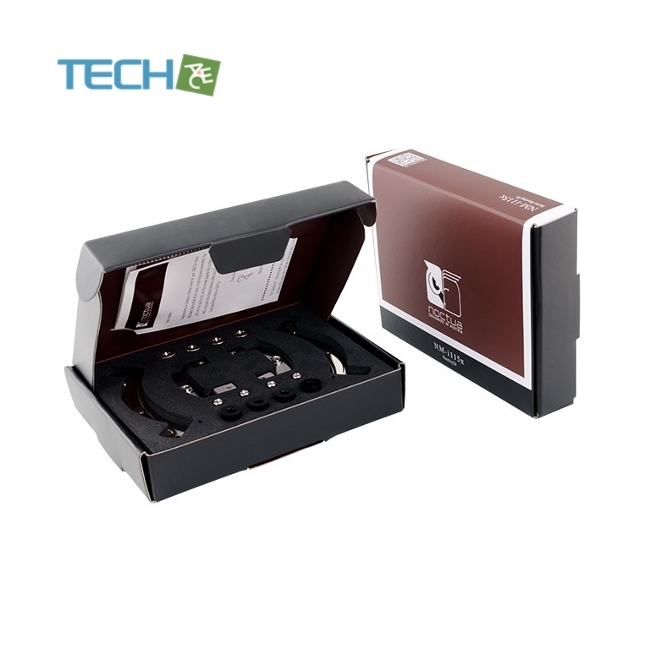 Over the years, SecuFirm2™ has become synonymous with impeccable long-term stability and flawless craftsmanship.Enthusiast users and industry clients alike trust the time-tested quality of Noctua's professional mounting systems. SecuFirm2™ mounting systems use high-grade coil springs to achieve perfect contact pressure. No guesswork regarding how far totighten the mounting screws, no risk of damaging the socket with excessive pressure! Noctuas SecuFirm2™ systems feature fully integrated fastening brackets with pre-fixed pressure screws and springs, whichgreatly facilitates the installation process. No fiddling with loose screws and springs! In order to cut costs, many manufacturers use cross-platform parts for both Intel and AMD, which can cause compatibility issues.Noctua's NM-i115x kit has been tailor-made for LGA115x and strictly complies to the Intel keep-out zones in order to ensure 100% compatibility. 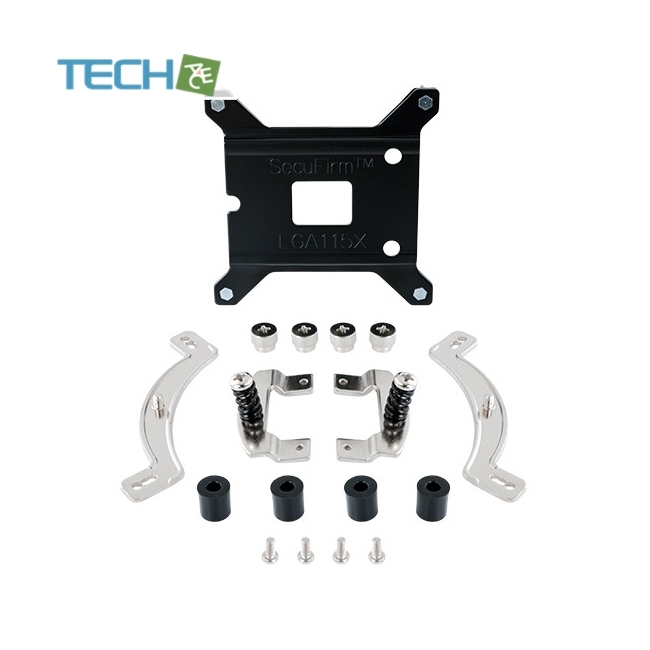 The NM-i115x kit features a new, sturdy one-piece backplate with fixed struts that has been specifically designedto facilitate installation on LGA115x sockets. Due to the fixed struts, it's now even easier to align the backplate and to attach it to your mainboard. The NM-i115x SecuFirm2™ kit is fully backwards compatible with most Noctua coolers since 2005*, making them safe long-terminvestments that can be used for several CPU generations. *See this FAQ for detailed compatibility information. The kit can not be provided free of charge for the NH-D14 SE2011 (special edition for LGA2011 only) as well as for DX series Intel Xeon coolers. If you would like to use the kit with these coolers, please purchase it a local reseller. Also note that this kit is not compatible with the NH-L9 series low profile coolers and DO series AMD Opteron coolers.